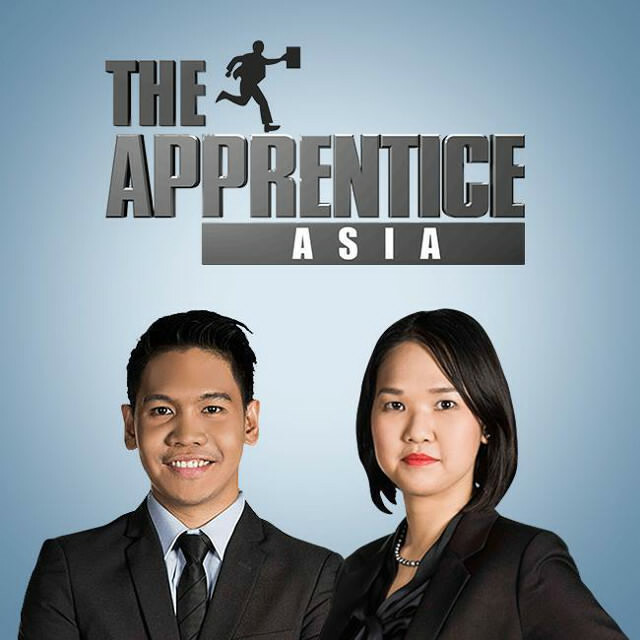 Manila, Philippines - AXN will reveal tonight, July 31, 2013 Asia's very first 'apprentice' in the Grand Finale episode of regional adaptation of the hit business reality show, "The Apprentice". The winner will get a grand prize of a one-year contract with a salary of at least $100,000. It's now a battle of the best brain between top 2 contenders - Jonathan Allen Yabut, a Filipino senior product manager in the pharmaceutical industry versus Singapore's Andrea Loh Ern-Yu, a civil-and-commercial litigation lawyer. After 11-week competition, one of the 12 entrepreneur- contestants from different parts of Asia will have the chance to work for Tony Fernandes, the game show host and Group Chief Executive Officer of AirAsia in one of his enterprises. The show was filmed in Malaysia and Singapore and premiered last May 22, 2013. Initially, 'corporations' or teams were divided by six men and six women. Each had been successful in various enterprises, including restaurant management, IT, and sales. According to one of the Apprentice Asia's contestants and a Filipino food and beverage consultant, Celina Le Neindre, we could expect "Pinoy pride moments" in the final episode. In an interview at ANC, she said: “You can expect a lot of Pinoy pride moments, definitely. You know I’m half-French, but I realize, oh my God, I’m so Pinay. Because naturally, I want my fellow Filipino to win". Lankester and Tan joined Fernandes in analyzing the contestants' strategies and business outcomes, and determining which team member of the losing team should be "fired" from the show. In the Episode 9 of Apprentice Asia, Yabut and Loh both impressed the Malaysian entrepreneur. Loh showed her confidence and abilities while Yabut touched the hearts of the viewers for his sincere and selfless answers on the toughest interview of the competition. In the part-1 of the finale episode, the challenge for the two top contenders is to organize a charity black tie fundraiser for the AirAsia Foundation, with a cocktail event, charity auction and a Muay Thai demonstration. In a surprising twist, six candidates who had been fired were back in the game – three each for the two finalists. Jonathan, who have won in the coin toss picked Sam Nallaraj from India, Nash Idrus from Malaysia, and Filipina Celina Le Neindre. Andrea has India’s Ningku Lachungpa, China’s Alexis Bauduin, and Indonesia’s Dian Mukti. Who will win as the first Asian Apprentice - Jonathan of Philippines or Andrea of Singapore? Don't miss the exciting finale episode of 'The Apprentice Asia' tonight (Wednesday) at 9 airs exclusively on AXN Asia.